My dog just iced me, bro. As our SUXORZ panel noted at SMNYC, Smirnoff shut down the popular site brosicingbros.com, rather than embracing it, because they didn’t want to associate themselves with such irresponsible behavior. 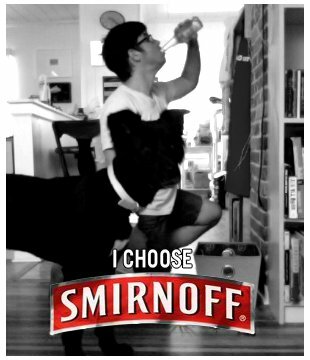 But you can still use Smirnoff’s own Facebook app to brand a photo of yourself being iced and share it with all of your friends. Is this what Zuckerberg meant when he said Facebook is in the business of advertising?